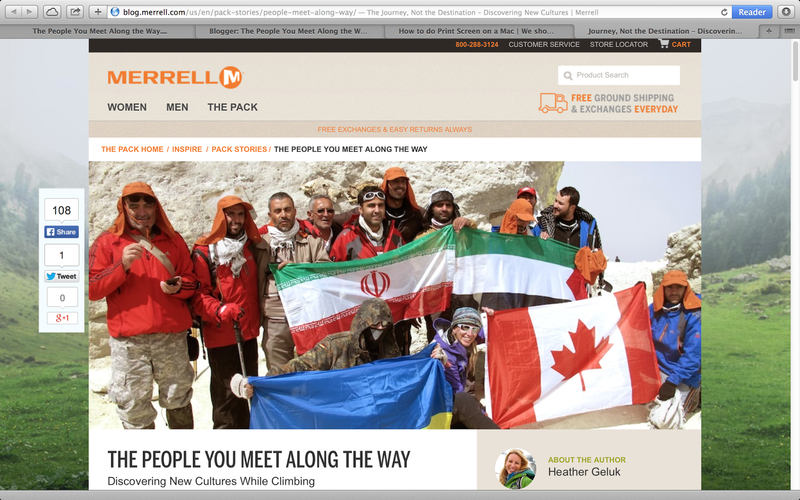 Feature Article: Merrell Pack stories - "Journey, not the Destination - Discovering new cultures while climbing"
"People often ask me why I climb. One of the benefits of mountain climbing is that it helps me to put life into perspective. The sheer magnificence of the vistas I experience from lofty mountain precipices - high above the cloud, looking out over the curvature of the earth far, far below - helps me to connect with my thoughts and put into context my place in the world around me...."
Huge thanks to Merrell Outdoors for featuring some of my recent adventures in their Pack Stories series...!